For a con that's been happening for over 3 decades, it was my first time attending one as it happened to be in Toronto. I've been waiting for this con for over 2 years and its finally happened! If you're not familiar with Costume-Con, its a travelling convention that happens in a different city every year with a different theme. It places a strong emphasis on costumes with little to any other genre such as anime, which is one of the main points that seperates it from other cons. It's not a terribly large con, fitting inside the Sheraton hotel with some room to spare. I arrived on Friday evening after a few hours of driving and taking care of some stuff, and only had enough time to stay for about 15 minutes. I was sad I had to run so soon, but it was nice to see several people and have enough time to say Hi and Bye to them. I also picked up my Media badge while there, I guess the lovely Dawn thought my photos were good enough and wanted me to photograph the masquerades here at Costume-Con! I came back the next day Saturday morning around 9:30, I had a couple shoots scheduled throughout the weekend, but also left myself enough room to explore the con between shoots. One thing I can say is this con isn't stressful. Due to its small size I can safely travel short distances with ease and speed. My damaged trolly/bag did pose a problem and I'll have to get it fixed. I attended the Sat night Masquerade, which was very well attended that they ran a video feed to an outside room to those who were rejected at the door due to capacity! I rented the Nikon 70-200 F2.8 VRII from Henry's lens just for this occasion, so I can have that useful zoom. I used it throughout the weekend and can say its a lens that I'd like to have if I was richer. The Masquerade ran fairly smoothly and only started a few minutes late. There was some crazy 80-something and the whole thing ran over 2.5 hours! I have to say that none of the skits felt too long except for maybe 1 or 2. There were no 2-minute long semi-coordinated Naruto dances thankfully. There were a lot of Master division entries but nearly all the costumes were high quality including many novice entries. It was a nice variety of all sorts of different outfits and styles you normally don't see, many of them being somewhat-classical due to the "Myth" theme of the con. One thing I must note to anyone going up on stage, POSE! If you walk up there and stand for 1 second, spin, and walk off, don't expect any decent photos. You need to do 3-4 poses, holding each for a good 3-4 seconds. Facing the corners of the stage helps people/photographers (who are in the sides of the crowd) get pictures of you. Slooooow down. 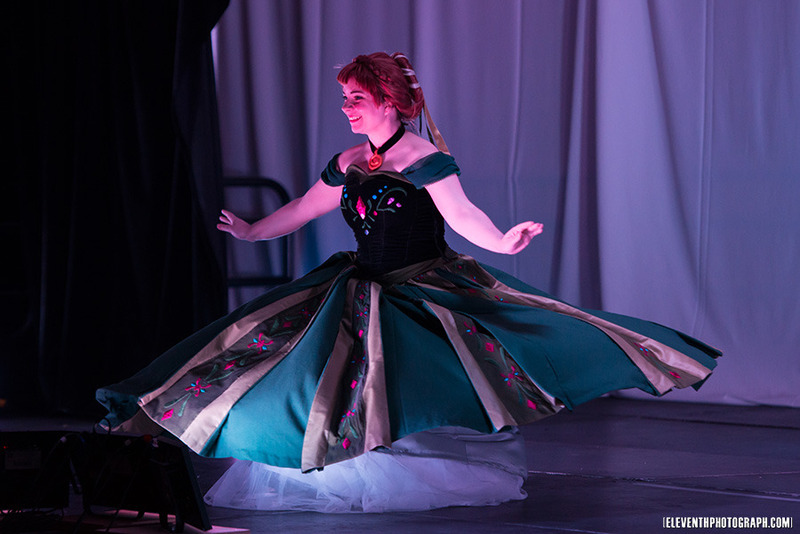 For masquerade organizers, I know it’s a hectic business running a masquerade, but having someone in the green room quickly explain to the contestants about proper posing for their walk-on performance will be greatly beneficial to everyone. It gives people the time to appreciate the details of the costume, gives photographers time to take a few different shots, and gives the cosplayer/model the confidence to stay still for a few seconds at a time and not be fidgeting due to nervousness. There, had to get that out. Coincidentally, the most of the Sunday Masquerade entrants knew exactly what I (and other photographers I know) was thinking, they stopped and gave a few different poses. The lighting wasn't evenly distributed across the stage which was a bit of a headache, but it was unexpected that they'd do such extensive light changes for each skit, nicely done. The stage ninjas were also magnificent, I'm surprised by number of skits they were in and their complex involvement in some! Props to them! Costume-con has that small-con feel to it, reminded me a lot of Con-Go (many staff from Con-G were in fact present! Woot!) There was enough variety and things to do to keep yourself occupied for the weekend. I attended two panels on photograph/posing lead by Elemental and SolarTempest on Sunday. Seemed to be well attended and it was nice to be in a panel where I understood most of what was going on! -lol- A true student of life never stops learning. So what else can I say? I guess the fact that I'll probably be heading to the next Costume-con in Toronto in the distant year of 2017! 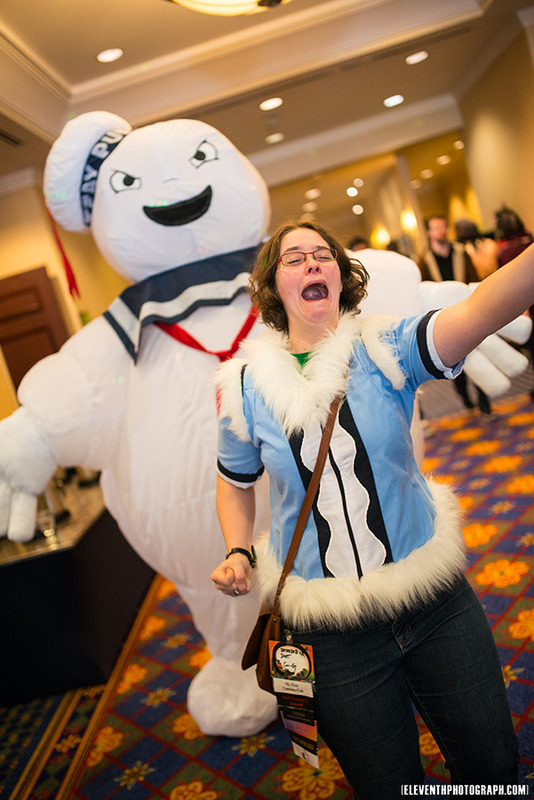 Toronto was once again selected to host Costume-Con, whoo! 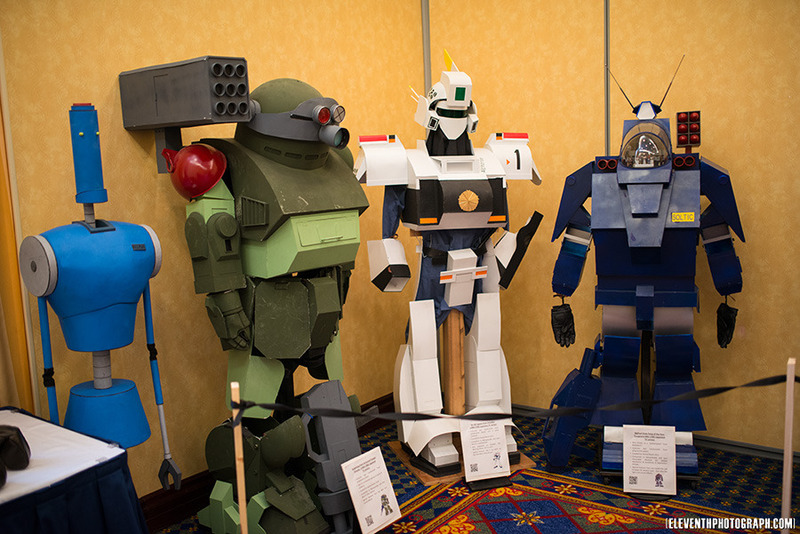 If you haven't already, you can check out the General con Gallery Here. If you find yourself in a photo from the Masquerade and would like a larger file, send me an email and I can get one to you free of charge. If you'd like a larger file from the General con Gallery you can purchase one for $5 each. Congrats to all those who won an award at the Masquerades! You'll have to up your game in time for the next one in a couple years. I expect near-functional Iron-Man/Gundam suits if you plan on making one.